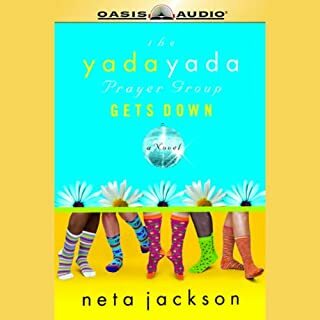 The Yada Yada Prayer Group was "gettin' down" with God in prayer and praise one night when a heroin-crazed woman barged into my house, demanded our valuables, and threatened us with a 10-inch knife. We wondered if we'd ever get back to normal after this terrifying experience. I assumed we would. After all, we'd started praying together at the Chicago Women's Conference last spring, and we'd been through a lot already as spiritual sisters. This was just one more hurdle to conquer, right? Interesting story. 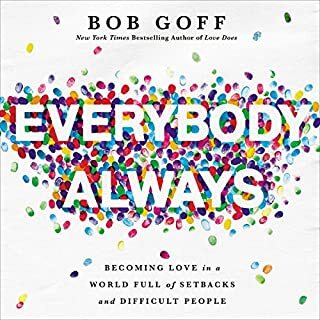 I am learning lots also just about living loving, supporting others and how to get through one day at a time with Jesus! Goff has shown me the way it should be done! That’s the flummoxed state of Edward Stanton, a 42-year-old with Asperger’s syndrome. His job, his therapist, and his best friends are all gone. Even his nightly ritual of watching Dragnet reruns has short-circuited. 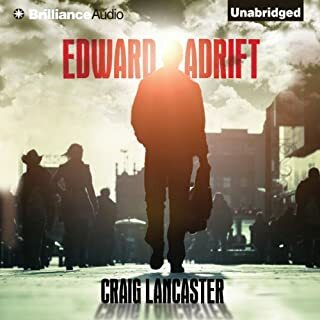 But a call from his friend Donna in Idaho, telling him that her son Kyle is in trouble, launches Edward from his rigidly scheduled existence in Billings, Montana, to the open road. He and Kyle, a sweet little boy turned sullen adolescent, debate football, music, and bodily functions (“Why do you pee so much?” Kyle asks). I like Edward! Good author!😊 My husband has read these books and enjoys them also. Now that Gabby is back on her feet after being in a homeless shelter, she has a new dream that will stretch her faith further than ever. 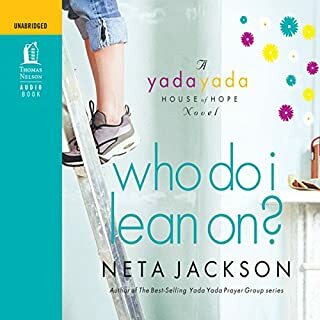 Gabby expects a fight from her husband over custody of their boys, but she is taken aback when he leans on her for a loan to cover his gambling debts. When she turns him down, Philip makes a desperate move that puts Gabby, her friends at the shelter, and even the House of Hope at risk. Great, but bring back Rosenblat as narrator!! Good book, just really miss the previous narrator from ya da books. I do seem to learn something for my own life each time I read one of the ya da books. Neta, I believe you have a real gift. 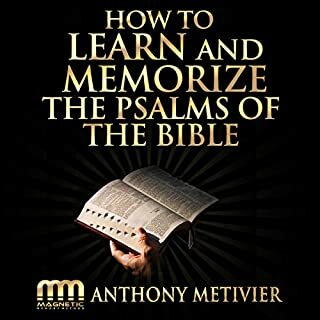 If you'd like to improve your ability to learn, memorize and recall the Psalms of the Bible by as much as 100%, 200%, even 300% (or more)...using simple memory techniques that you can learn in 15-20 minutes (or less), then this may be the most important book that you will ever listen to. Believe it or not, it really doesn't matter if you think you have a good memory or not. 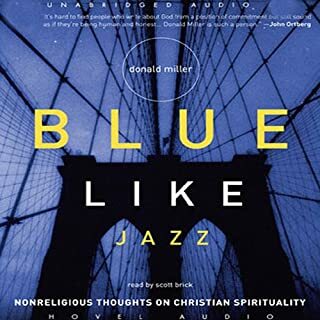 In Donald Miller's early years, he was vaguely familiar with a distant God. But when he came to know Jesus Christ, he pursued the Christian life with great zeal. Within a few years he had a successful ministry that ultimately left him feeling empty, burned out, and, once again, far away from God. In this intimate, soul-searching account, Miller describes his remarkable journey back to a culturally relevant, infinitely loving God. This is true Christian Spirituality! I have to say I don't want religiosity anymore at all. I want Jesus this way. This book is how I want to live others and also know how Jesus loves me. 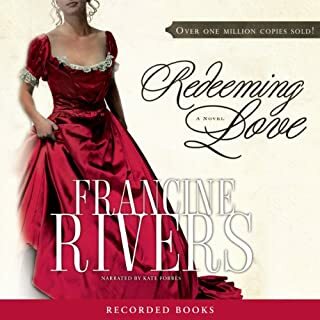 Would you listen to Redeeming Love again? Why? I would listen again. This is an amazing story. 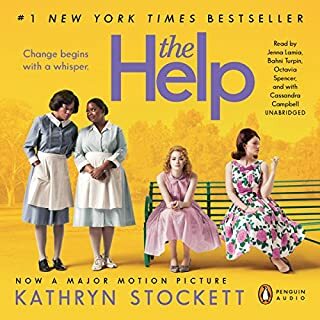 What does Kate Forbes bring to the story that you wouldn’t experience if you just read the book? This story touched the core of me. I want to love others better, receive love from others more easily, and rest in Gods love always. Who would have thought a story book would evoke such a deep emotional response? 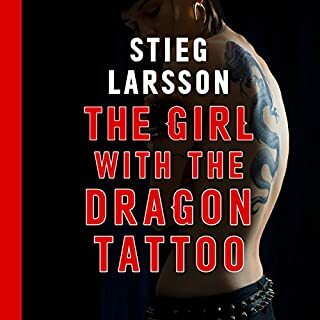 It took me a bit to get into this book, however once I got hooked, there was no stopping! I really enjoyed the suspense and drama. A bit too gruesome at some points for me, but all in all a very good book, well worth the credit!!! I don't know how true this story really rings. I have had no contact with black people, except for rich folk, that have education, and money. I know some who treat us white girls like we are their servants. Some if them are kind, and considerate also. I really wish we could see beyond the skin color, and love each other. This book is a very interesting book. Forget Dr Phil, the clothesline, and Atkins: this is an easy, fun, and effective guide for any lazy girl who needs to lose weight and get results that last. 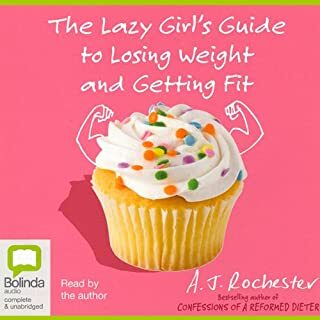 The Lazy Girl's Guide to Losing Weight and Getting Fit is a simple, step-by-step program that details the nuts and bolts of how A. J. lost weight. She has helped over 200 clients through her 5 Kilo Club at Fernbank Fitness Centre. There's no starvation, no low carb torture, and no weights and measures: A. J. focuses on achievable goals and fun. This book is so good. AND interesting. The author makes you want to succeed. I would recommend this book to anyone who wants to make healthier choices and wiser decisions in their eating habits. Not just for those who want to loose a lot of weight.